Note: This is a single serving of tomato salad. Increase the ingredients according to how many you plan to serve. 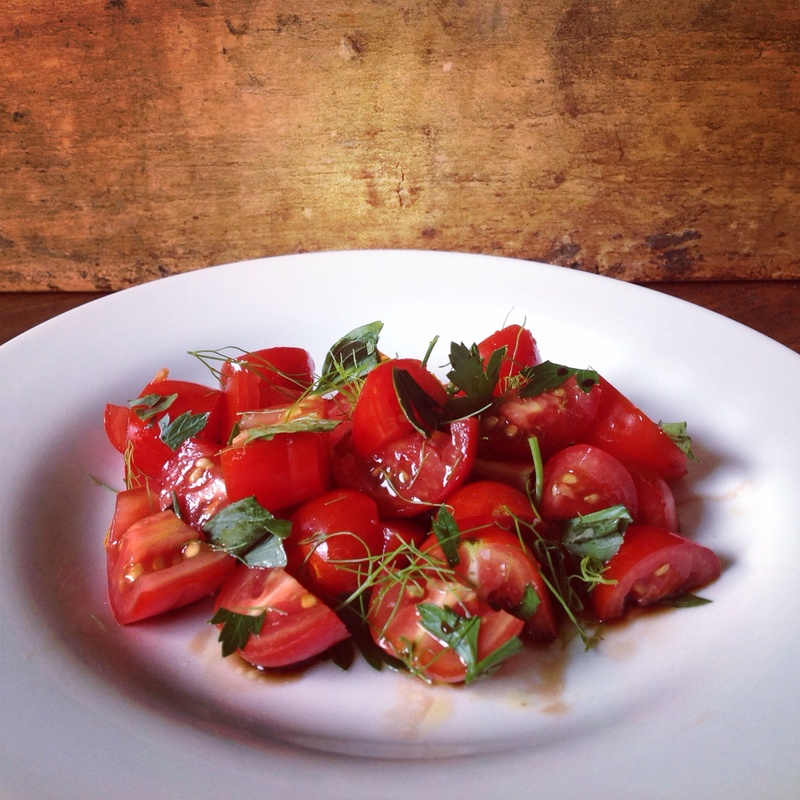 Place the tomatoes and herbs in a small bowl (preferably the one from which you will be eating). Drizzle the extra virgin olive oil and balsamic vinegar over the mixture. Sprinkle with kosher salt and stir to combine.